01 Feb 2017 - 737-800, PK-GNK (41798 / 5049), FF 7/02/1990, operated by Garuda overran Rrunway 09 whilst landing at Yogyakarta, Indonesia (WAHH) at 12:47Z (19:47L) in slight rain. The aircraft touched down on runway 09 then veered to the left and stopped on the left shoulder of runway 09 at about 1,600 meters from begining runway 09 and 20 meters from the runway edge. There were no injuries to persons and no damage to the aircraft. Yogyakarta's only runway, 09/27 is 2200 x 45 meters asphalt and has an ILS on runway 09. Approach guidance facilities such as PAPI lights and runway lights were all serviceable. The Captain was PF and had 6,182 hours including 4,482 hours on type. The F/O was PM and had 2,217 hours on type. The FDR graph (shown below) showed significant parameters prior touchdown and while landing roll which are shown in the boxes, such as wind speeds and directions, aircraft speeds, reversers, break pressures and rudder deflection that will be examined specifically in the final report. The prliminary report makes various findings about the runway condition. Regulation CASR Part 139-23 states that runway friction check shall be performed monthly but it was last performed a year earlier. Also rubber deposit cleaning was on its 4 month limit. 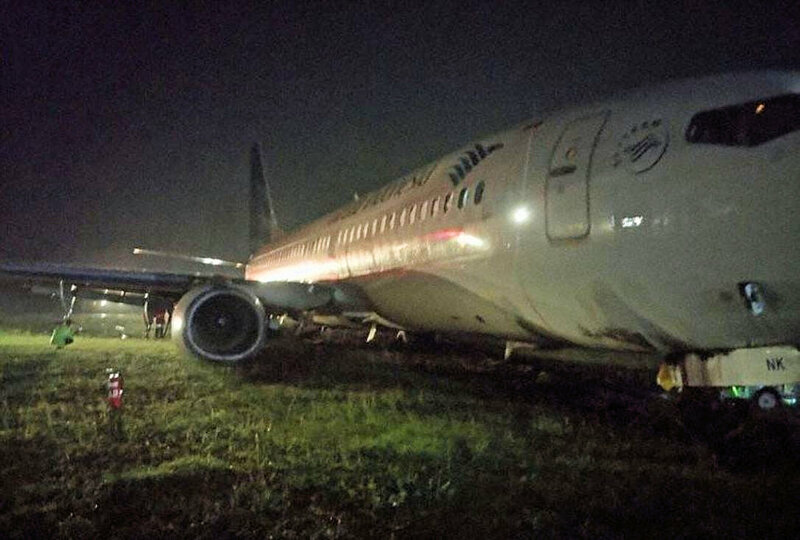 It notes that there were several unclear runway centreline markings on the touchdown area of runway 09. And also that there was a difference of runway, taxiway and apron daily inspection schedule in the AM and SOP. In the AM mentioned that the inspection performed three times a day, while in the SOP mentioned that the inspection performed twice a day. One other thing of note in the report was that "Passenger evacuation completed at approximately 50 minutes after the aircraft stopped." The airline has since issued a reminder to cabin crew about evacuation procedures. 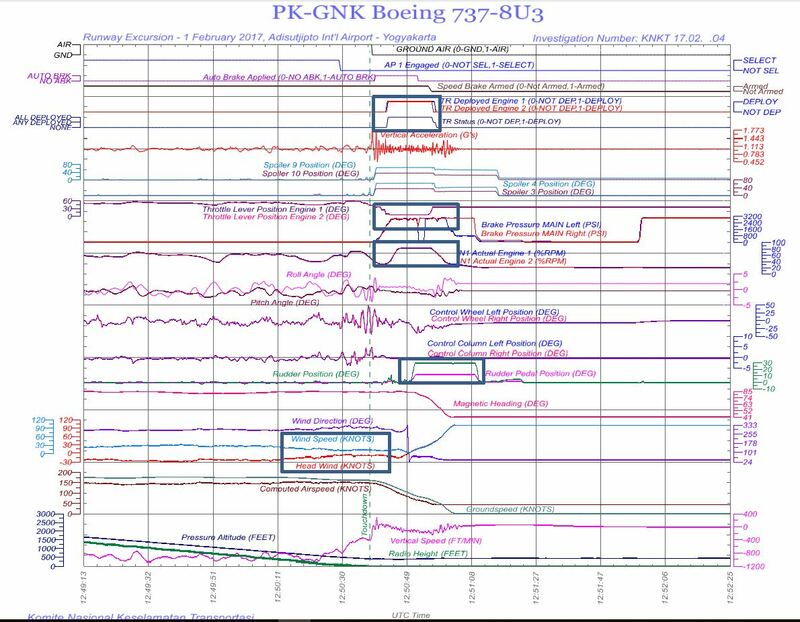 The FDR graph showed significant parameters prior touchdown and while landing roll which are shown in the boxes, such as wind speeds and directions, aircraft speeds, reversers, break pressures and rudder deflection that will be examined specifically in the final report.